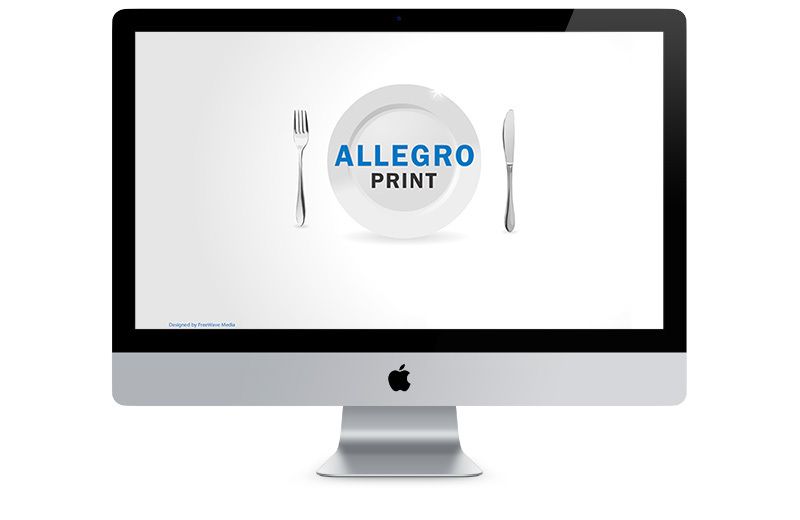 Allegro is an Italian music style that can be best described as “fast and lively”. This music analogy aptly conveys our mission to serve and communicate effectively and efficiently. 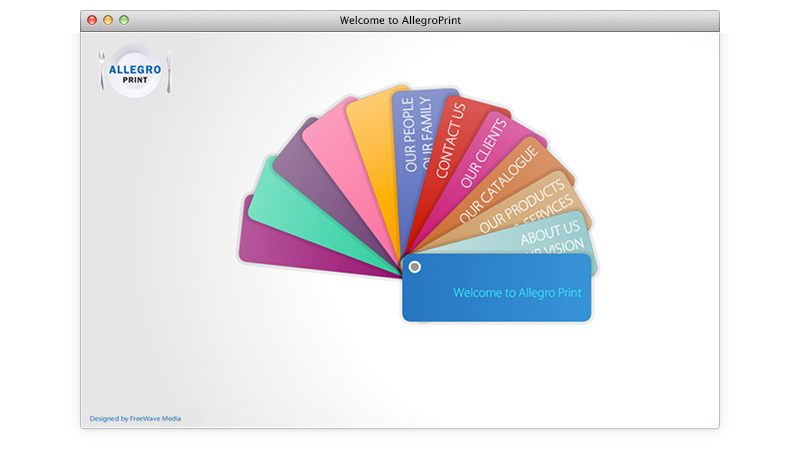 Established in 2002, Allegro Print is an established printing company. They have requested FWM to develop the company's new website. 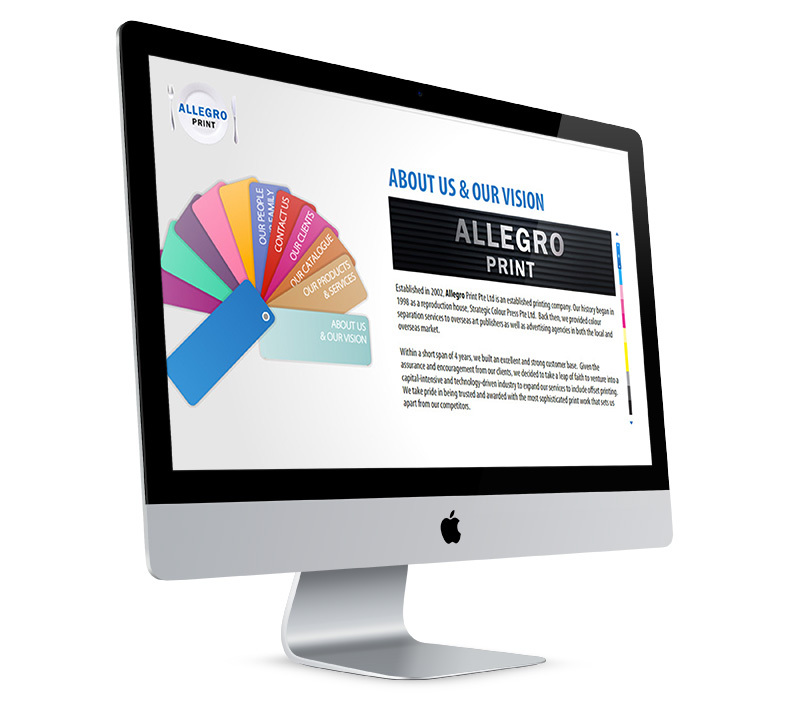 Emphasis was made on clear visual presentation of the wide range of references and projects that Allegro has realized over time. 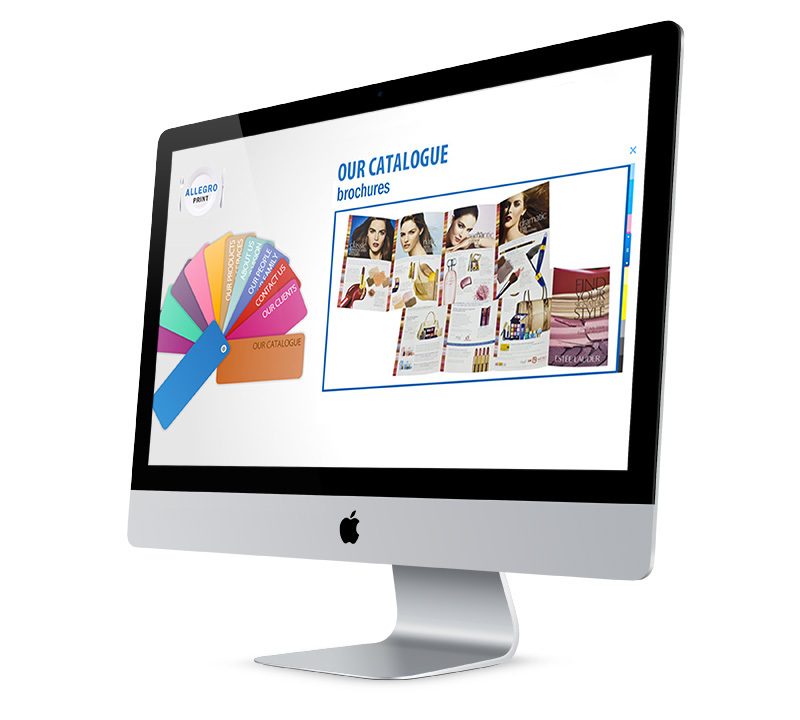 The PANTONE color chart was the primary visual expression that set the tone for the overall design.